Luckily I have been producing a lot of trade and commission work recently which is great for me but means I haven’t been able to put anything up. Hopefully I will get more time to mess about soon! For Christmas my wife very kindly got me an Acme Racing Raptor 1/10 Truggy radio controlled car kit which turned out had a load of bits missing, most of those have been sent by the manufacturer. Unfortunately I still don’t have the turn-buckles for the back wheels or body clips. After a number of frustrating emails I have decided to find a solution. The body clips were a £2 fix from The Model Shop Northampton (they are not on their online store unfortunately) but the turn-buckles have proved a little more tricky. Luckily I have discovered that M4 Threaded bar, at £1.45 for a metre from B&Q, is a perfect replacement! 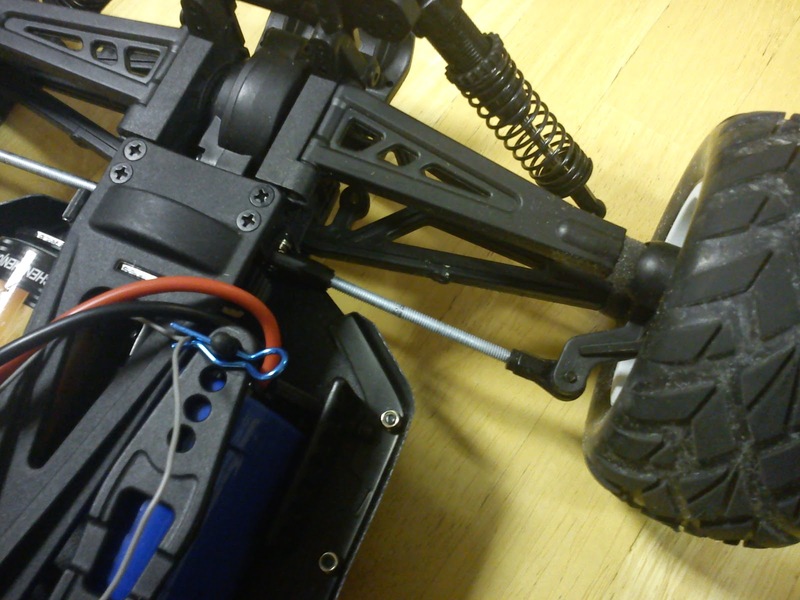 The only issue is that is not reverse threaded on one end so you have to undo one end to adjust it – not too much of a problem on an RC car. Now to the laser part! There has to be one really. 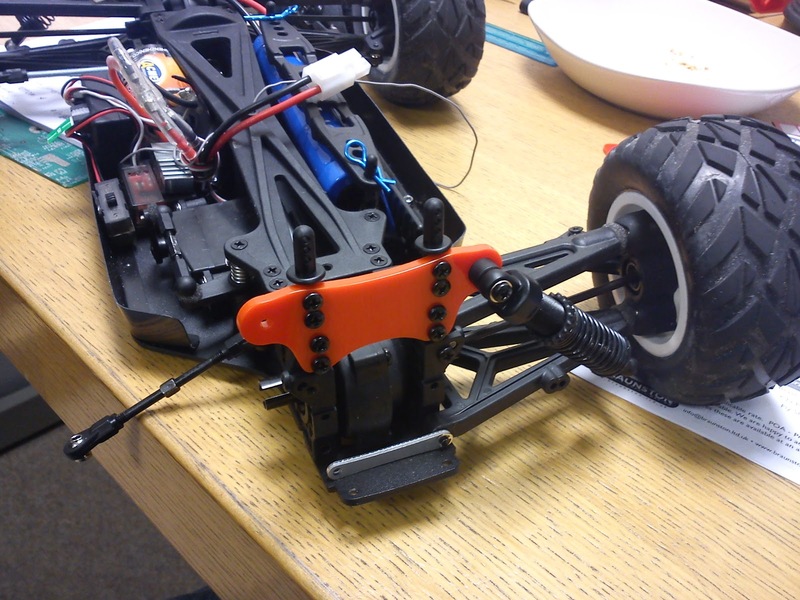 Within the first 5 minutes of testing the car I have managed to crash into an immovable object and snap the front right lower suspension arm, the front shock tower and bend the right shock. Oops. The shock has bent back in to shape so no problem there, and I have my eye on a set of aluminium arms. The shock tower however only comes as part of a set of parts I don’t need so its time to laser one! I took the very literal approach of scanning in the original and tracing the parts then checking the measurements. Surprisingly it worked first time! Its only 3mm acrylic so any weight saving cutouts were ignored and the other parts beefed up as I am not sure how well the acrylic will cope. As you can see I am waiting for the arms to arrive. As usual the files are available on Thingiverse. If anybody would like one please let me know.